What driver's licenses do you accept? Valid driver's licenses issued in your state or country is acceptable as long as it is in English or in standard European format. If this is not the case an international license is required. CDW insurance is included in the rental price, but only to a certain „own risk“, 350.000 ISK. If you want to lower your own risk, then an additional insurance can be bought. You may need additional insurances such as Gravel Protection, SCDW insurance or any of our bundle packages. You have to be at least 20 years old to rent a 2WD and 23 to rent a 4x4 and you need to have held a valid driver´s license for at least 1 year. We are located at Arnarvellir 4, 235 Keflavik Airport. Our phone number is: +354 455 0000 and our e-mail address is: route1@route1.is. If I want to return the car outside of your opening hours and Shuttle Service hours, is there anywhere I can leave your vehicle? Yes, then you will need to leave a depsoit for the excess amount that will be refunded once the car is undamaged. The blocked/charged amount will be returned in full at the end of the rental if the vehicle is returned in the same condition as rented. Please note due to the foreign exhange rate and other possible banking charges the customer will have to take reponsibility for the possible expenses involved when the deposit/excess is charged/refund. If you have any problems with the car you call us at +354 455 0000. You can pay in cash, with debit card or with credit card. Please keep in mind that if you pay in cash or with debit card you will still be required to provide us with a valid credit card number for security reasons. Yes, but the card holder must present themselves with proper ID to sign the rental contract. Is the VAT included in the total price? Yes, the VAT is always included. All the prices listed on our website are in Euros (EUR). A deposit amount will be held against your credit card for the duration of the rental. Your deposit is a guarantee held in the event of damage/theft of the vehicle. This will be automatically released if there is no theft or damage during the rental period. Please note that this does not represent your total excess liability which can be found in the insurance coverage section. It may take up to 30 days for the deposit to be released. Cancelations need to be made at least 24 hours prior to rental start. No refunds if cancelled within 24 hours prior to rental start. We have economy, compact, mid size cars and SUV´S as well as vans. We have automatic and manual (stick shift) cars. Make sure you ask for a automatic shift in advance. What kind of tires are your cars fitted with during the winter months? All our cars are fitted with studded snow tires in the winter. No, our minimum rental period is 24 hours. We do have accessories that can be rented with the vehicles. The accessories are baby seats, cushions, GPS systems, Wi-Fi systems and roof boxes. Yes, additional charges apply when the rental vehicle is to be driven by more than one person. What insurances do you offer and what do they cover? We include a Collision Damage Waiver (CDW) in the price of the car with excess amount 358.000 ISK. We do offer a Separate Collision Damage Waiver (SCDW) for extra charge. The lessee is always responsible for the following damages, which are not covered by CDW or SCDW insurance: e.g., damage to tires, headlights, wind-screen and the underside of the car, damage caused by loose rocks which get thrown at the vehicle on gravel roads, damage to the engine of the vehicle caused by water getting into the motor, damages caused by ash and sand, negligence, or if the lessee is driving while intoxicated. What driving conditions and what weather can I expect? I recommend taking a look at our page Driving in Iceland where you can find useful information regarding these topics. Am I allowed to take the car on the ferry to the Westman Islands or between Stykkishólmur and the Westfjords? Yes, this is allowed. Just remember that you need to book tickets for the ferries in advance. 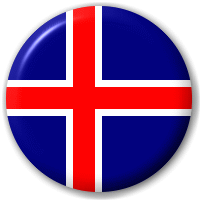 There are no official states in Iceland like in other countries such as the USA. So no there is no out-of-state driving simply due to the lack of states. Yes, vehicles can be rented by the month during the winter and receive a special offer. Any other questions? If so, then please send us an e-mail to route1@route1.is or check out our Terms & Conditions.